As the 2020 elections approach, more and more people have announced their candidacy. 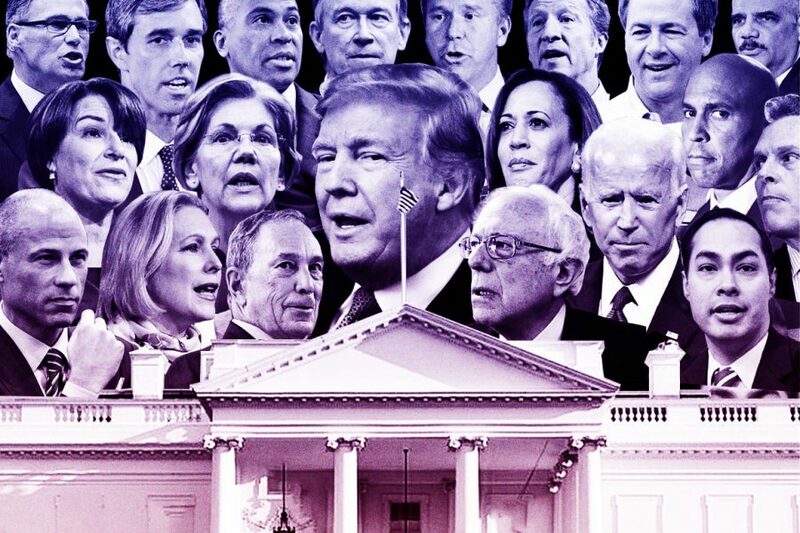 With presidential elections only a year away, many Democrats have come up to announce their running in the 2020 presidential race in hopes of denying President Donald Trump a second term. What may seem as one of the longest lists of liberal candidates running — 14 declared and dozens considering a campaign — in fact ranges from moderates to more progressive candidates to even a self-proclaimed democratic-socialist. On the other hand, because of Trump’s incumbency, only a handful of Republicans are considering mounting a challenge. One of the front runners for the Democrats is Bernie Sanders, a senator from Vermont. Although he is running for the Democratic nomination, he actually is not a member of that party. He is an independent that describes himself as a democratic socialist. Running on the issues like free college tuition, Medicare for all and raising the minimum wage, Sanders appeals to the American people on the more progressive side of the political spectrum. Kamala Harris and Corey Booker, two other promising candidates, have captured the eyes of the media for their ideas. They both share similar interests such as Medicare for all and rent relief. Rent relief is supposed to help low-income renters by lessening their rent burden. To combat this issue, both senators have proposed bills that would provide refundable tax credits to people paying large shares of their income in rent, according to the National Public Radio. Senator Elizabeth Warren of Massachusetts has also decided to run. According to the Washington Post, Warren has faced a couple of rough months prior to announcing her candidacy. The reason for this is because of a DNA test which was supposed to prove that Warren had a relative who was Native American. Despite this DNA test proving otherwise, Warren may still stand a chance in the upcoming election where she is campaigning to improve income inequality which she believes is under attack by large corporations. Lesser-known, long-shot candidates include Marianne Williamson, Julian Castro, Andrew Yang, Amy Klobuchar, Kirsten Gillibrand, Tulsi Gabbard, John Delany and Pete Buttigieg. Lastly, Joe Biden, former vice president, is a potential candidate for 2020. Although he has not announced his run he is surpassing actual candidates in several preliminary polls. According to Real Clear Politics, Joe Biden is above every Democratic candidate, polling around 27.5 percent. On the Republican side, President Trump will be running for re-election. His approval ratings are around 40 percent at the moment. Previous presidents such as Ronald Reagan and Bill Clinton had similar ratings and they both were elected to a second term. A few from this party have considered challenging the sitting president, yet the only candidate who has mentioned to the public he will be running against the incumbent is William F. Weld, the former governor of Massachusetts. He plans to have a more moderate immigration plan, an improved free trade reform and has given support to legalize marijuana. All in all, there is a long list of candidates and potential candidates, although mostly for the Democratic party. Only being a year away from the 2020 presidential election there could be more announcements and big reveals from both sides. Either way, these elections could have many different outcomes that can change the course of the country.